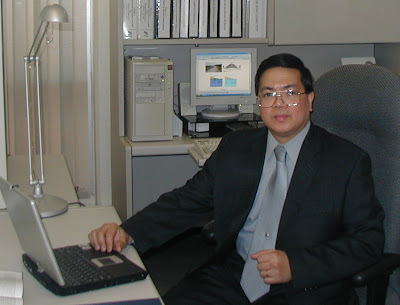 Dr. Alfaro is a registered professional engineer in the Province of Manitoba, Canada. He is a member of the Canadian Geotechnical Society (CGS), Canadian Society for Civil Engineering (CSCE), American Society of Civil Engineers (ASCE), International Society of Geosynthetics (IGS), and International Association of Lowland Technology (IALT). His research interests include: geosynthetics in civil engineering applications, soil and ground improvement techniques, soft clay engineering, and transportation geotechnics. Dr. Alfaro has authored or co-authored technical papers in international refereed journals and conference proceedings. He is a co-author of the book Improvement Techniques of Soft Ground in Subsiding and Lowland Environment published by Balkema Publishers, Netherlands. He co-authored a book chapter on Seismic Aspects of Geosynthetic-Reinforced Soil Walls and Slopes in Geosynthetics and Their Applications published by Thomas Telford in England. If you are attending the lecture, we would appreciate if you send us your name and organization on or before July 29, 2010 (Thursday) to avoid any inconvenience in entering the campus. 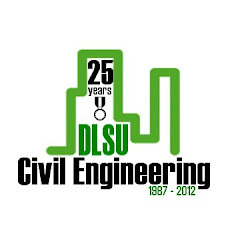 Send to bernardo.lejano@dlsu.edu.ph. Last July 15-16, 2010, The Philippine Institute of Volcanology and Seismology (PHIVOLCS) commemorated the 20th anniversary of the July 16, 1990 Luzon Earthquake by holding a symposium with papers from seismologists, geologists, civil engineers, structural engineers, disaster managers and researchers presented during the two day symposium. Dr. Andy Oreta presented a paper on "AIJ Level 1 Seismic Screening of Some RC Buildings Damaged by 1990 Luzon Earthquake." 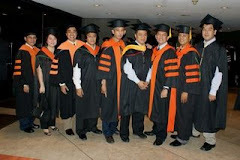 He also presented the paper of Lasallian post-graduate alumnus (MSCE), Engr. Dexter Lo of Xavier University on "Seismic Risk Mapping at Micro-Scale: The Case of Barangay Carmen, CDO, Philippines." Twenty years ago, on July 16, 1990, an earthquake with magnitude 7.8 struck central Luzon. The human consequences were severe - at least 1200 people were killed and more the 3000 injured. Major destruction occured in Baguio City where hotels and school buildings collapsed like pancakes and Dagupan city where extensive liquefaction caused settlement of buildings and bridges. What lessons can we learn from this earthquake? This video - part of the "Understanding Earthquakes and Disasters: Photo-Video Presentations" by Dr. Oreta highlights some lessons from the 1990 Luzon Earthquake. 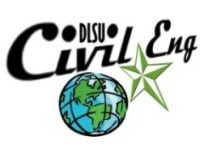 DLSU and other Lasallian schools should learn lessons from the Luzon 1990 earthquake. As a start, it should hold earthquake drills in the campus to help prepare the students and staff on how to respond in case the big ONE occurs. Another possible project is to install an eletronic alert system (similar to the Bruin alert of the UCLA) wherein students and staff can receive alerts via email and text message during an emergency.